We recently renovated the website of San Diego based lighting manufacturer rep San Diego Lighting Association. Capt. 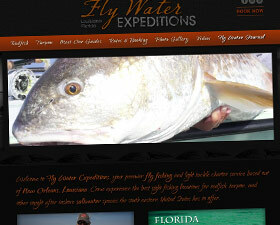 Steven Tejera of Flamingo fishing fame and Knot Tight Charters just unwrapped his new BoldWater website.